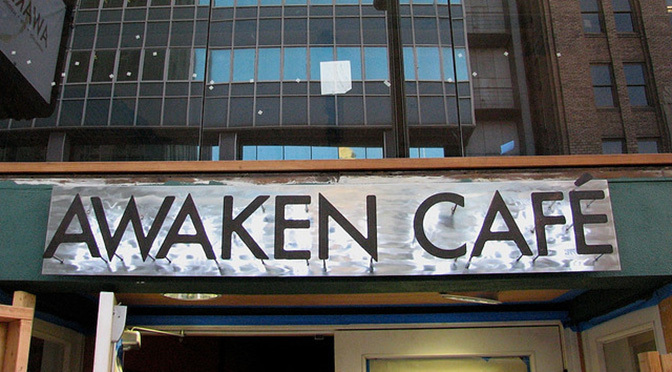 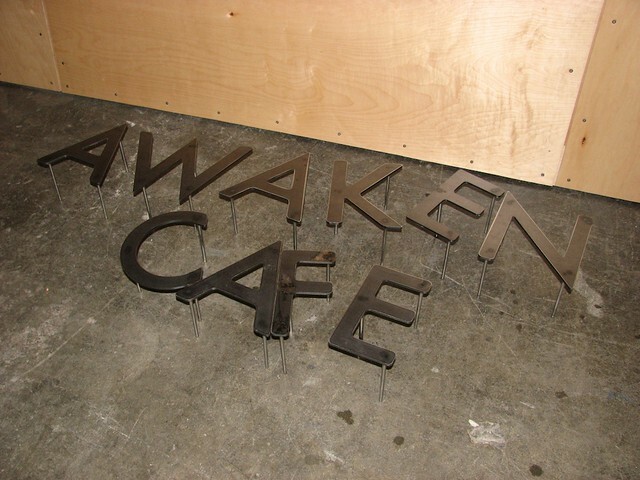 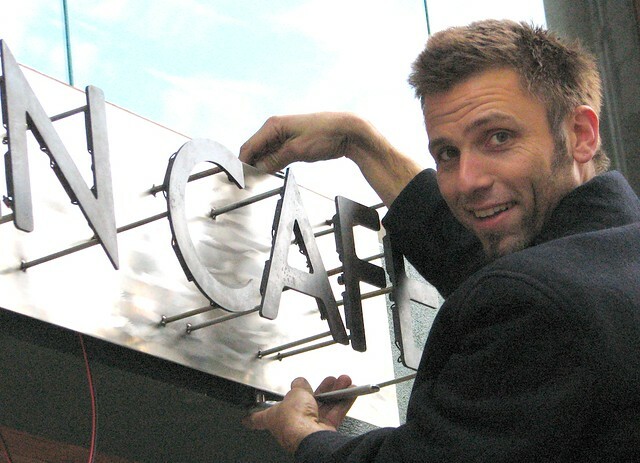 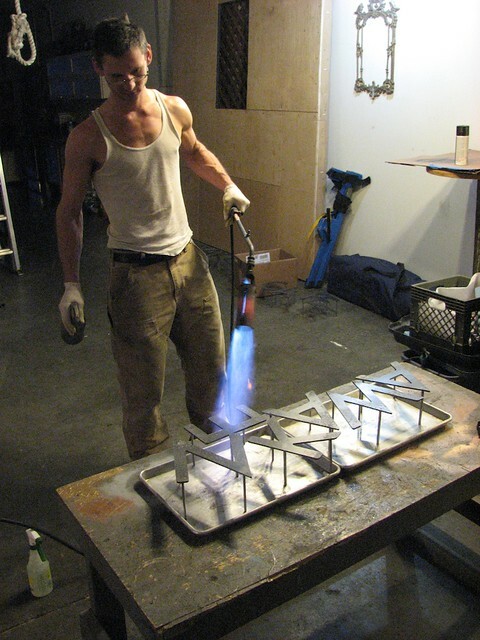 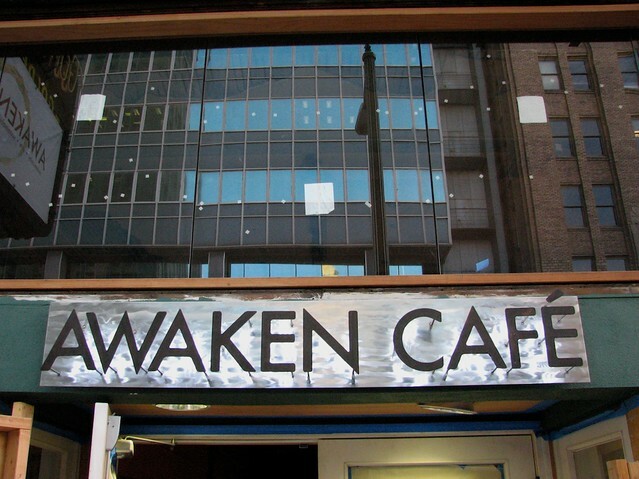 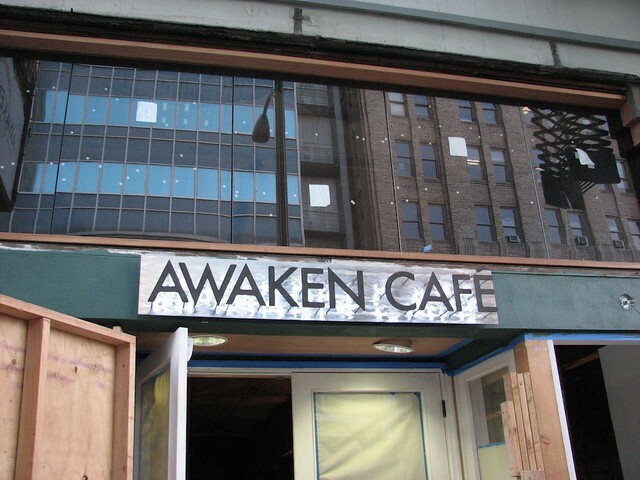 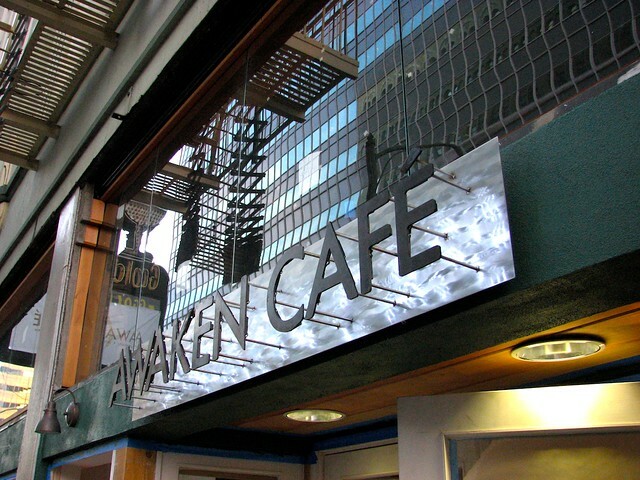 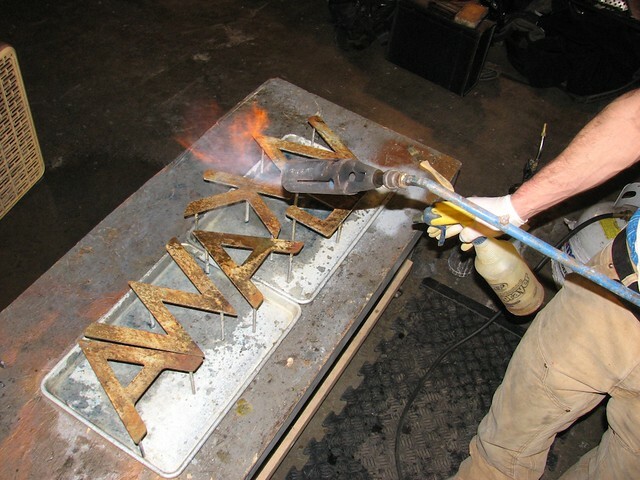 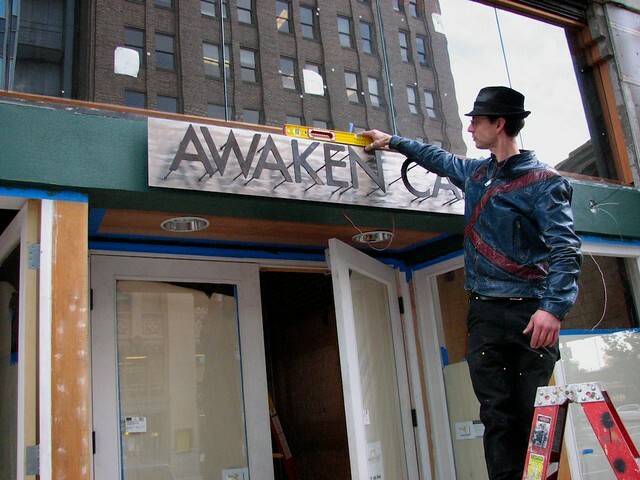 Using the CNC plasma torch in my shop I designed and built this mild steel and stainless steel outdoor sign for Awaken Cafe. 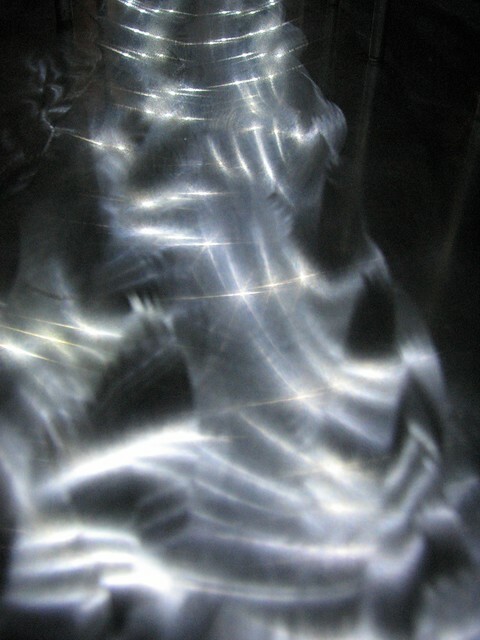 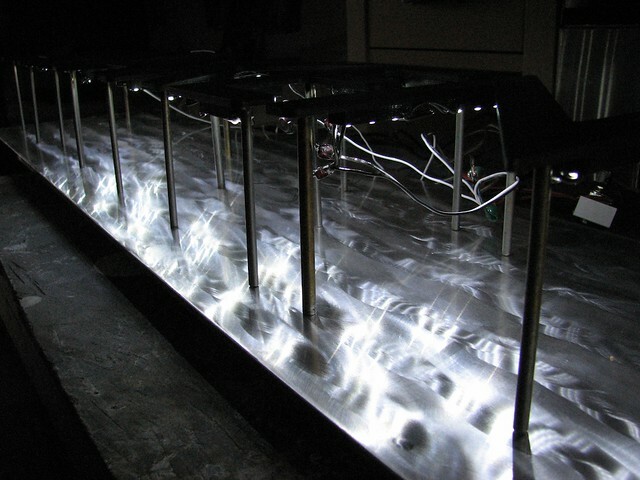 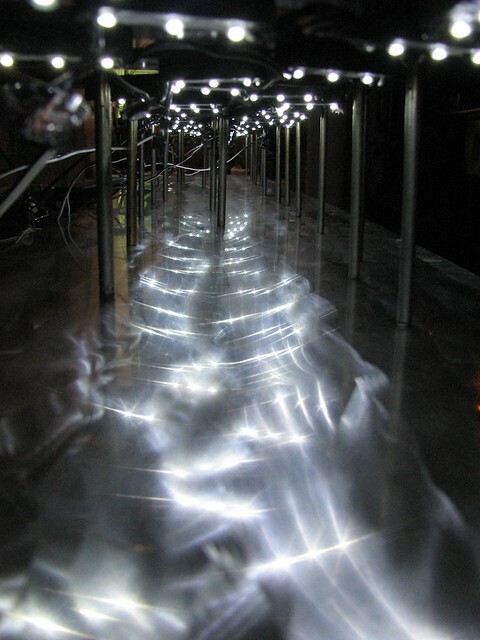 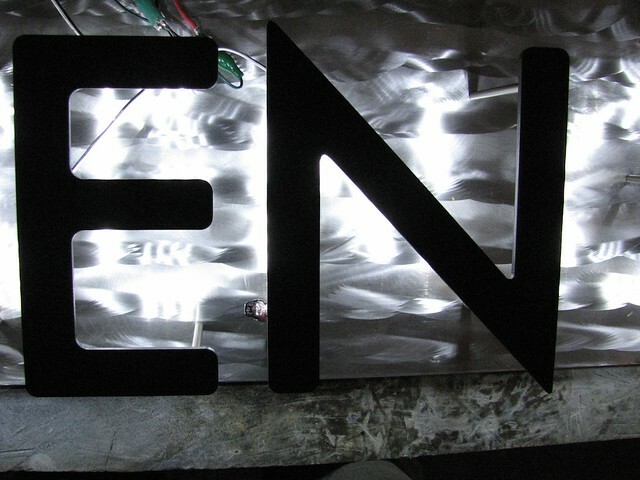 The letters included waterproof LED modules that provided backlighting that reflected off the brushed stainless steel. 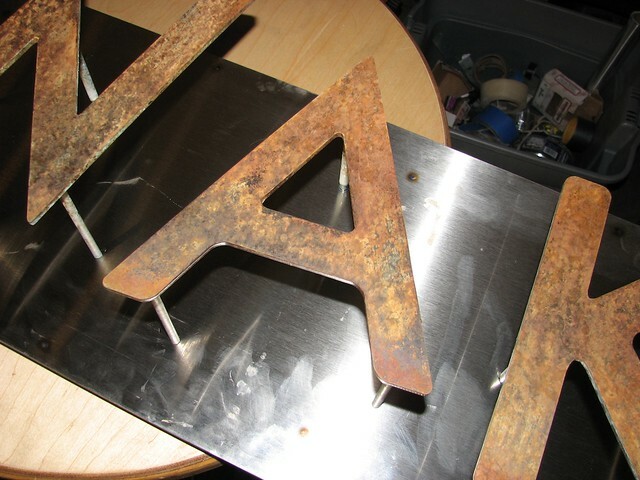 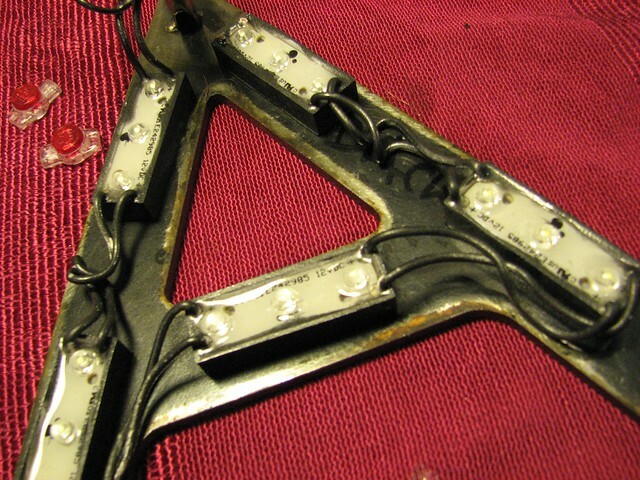 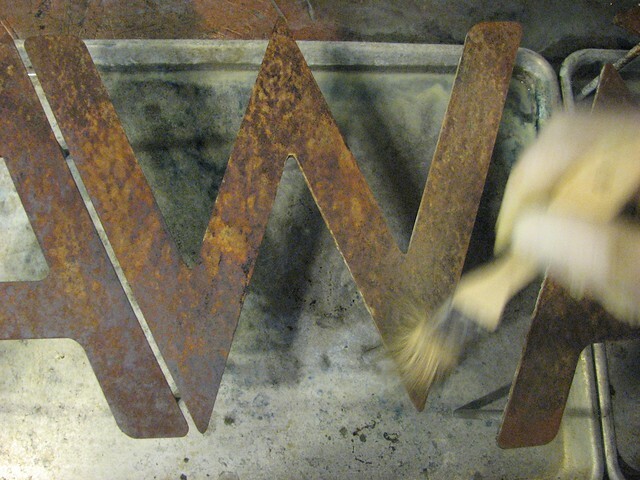 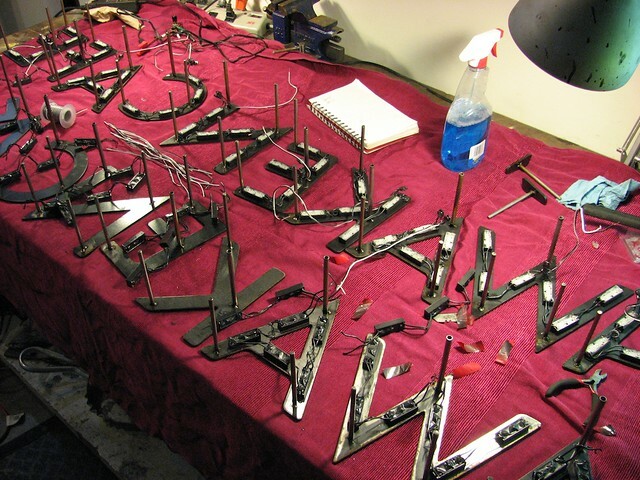 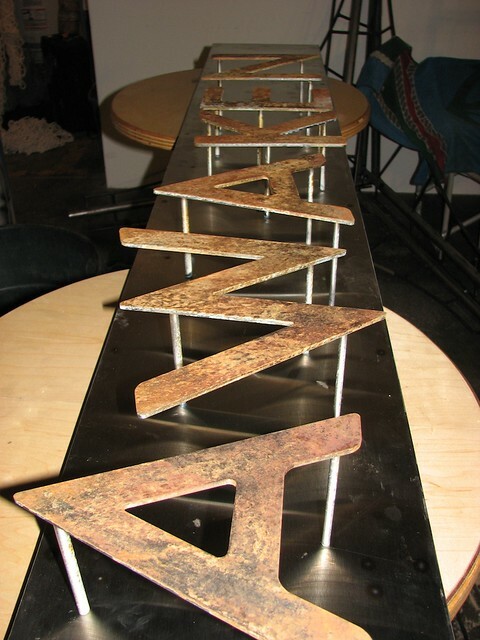 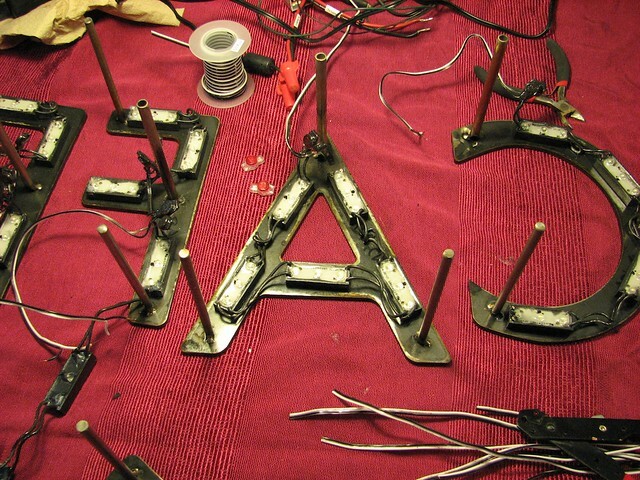 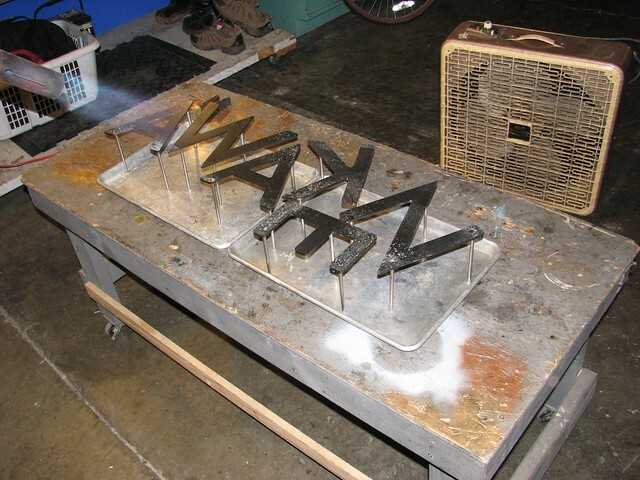 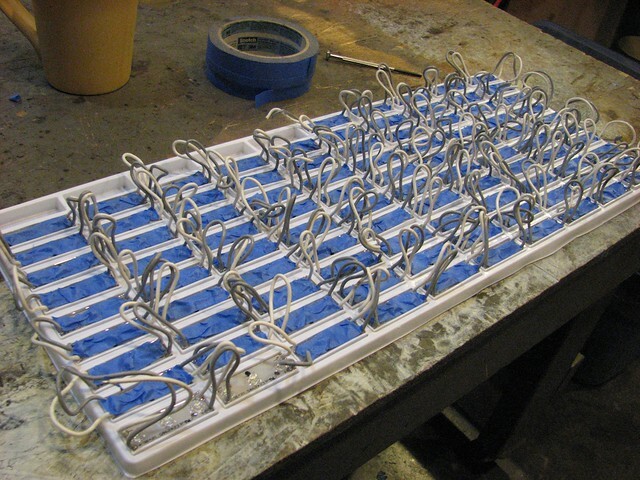 The mild steel letters were patinated a then sealed in beeswax.